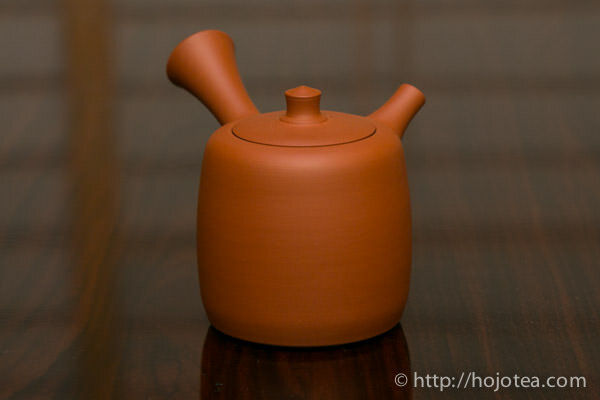 I would like to explain the points on how to choose the right type of clay teapot for a Japanese green tea. The taste of tea will noticeably change depending on the type of clay we use. The outcome in the taste alteration using a clay teapot is not of many different ways in fact. The taste differs thanks to the clay used for the teapot and the existing minerals in the clay. Basically, there are two kinds of changes in taste in responding to the clay. The body refers to the width, richness or the full spreading sensation in our mouth. If the body of the same tea is enhanced, you will feel that the tea flavour becomes stronger. However, it is not only the desirable flavour that is increased, but the less attractive flavour also enhanced when the body is enhanced. On the other hand, the after taste means the lingering taste/flavour, the transparency and the depth of taste. The body is the horizontal sensation while the after taste is the vertical sensation. 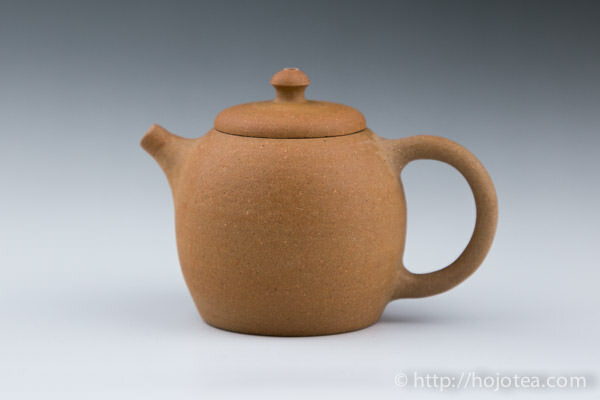 If tea has both body and aftertaste in an equal extent of intensity originally, or, enhanced by using a clay teapot, we may feel that the taste and flavour of the tea is three dimensional, rounded; this will be a very nice cup of tea from a subjective point of view. 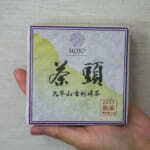 When selecting a clay for Japanese green tea, it depends on the type of Japanese green tea that you intended to brew. In the view of selecting the clay, we can classify the Japanese tea in the following two groups. 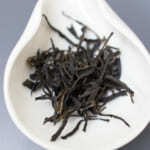 Bio-Dynamic/Natural farming tea such as Zairai tea: rich in poly phenols and minerals that gives body and after taste. In Japanese tea industry, there is a norm yet odd practice, where they would intensify the amino acid content and the umami taste in tea. Hence, the farmers would try very hard to produce a tea that could meet this criterion. Hence, the application of nitrogen fertilizer by the farmers is to increase the amino acid content in tea. 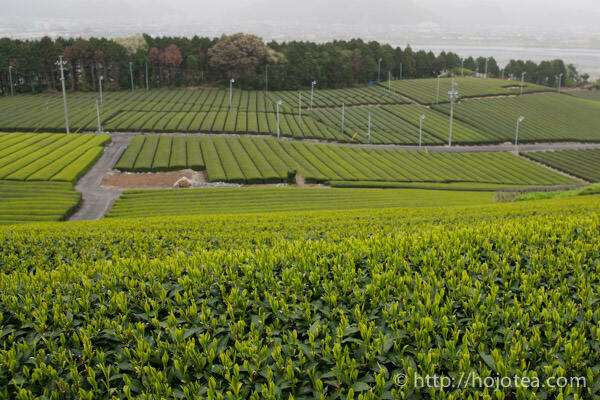 Once nitrogen is applied, the tea trees would grow faster; in order to produce necessary carbohydrates, the tea leaves will increase the number of chlorophyll and speed up the photosynthesis. 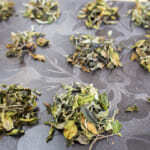 Thereafter, the appearance of the tea leaves is a very important element to determine the tea quality. Thus, during the production of Japanese green tea, majority of tea manufacturers try their best to remove the stems from tea. As a result, the tea will give the following characters. Strong umami taste or saltiness due to high theanine (amino acid) content. Tea trees grow faster when fertilizers are applied. As a result, tea contains fewer minerals, such as iron, and its taste becomes flat and lacks aftertaste. As for the body of tea, it has something to do with the stem. Once the stems are removed, the tea would give a very light body. 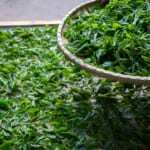 It is related to the calcium distribution that may only be accumulated in the stems of the tea and not circulated to the tea leaves. 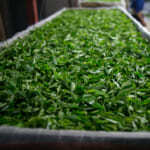 Therefore, nitrogen fertilizer accumulation will end up in the tea leaves. During the final process of Japanese tea, the crude tea leaves are fired in order to bring up the flavour. 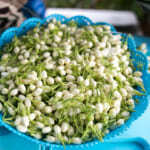 If tea contains high amino acid content, it would produce a very distinctive sweet aroma. This aroma is generated due to the oxidation of amino acid and sugar – the Maillard reaction. The mechanism of this reaction is very similar to the way a hot cake produces its sweet aroma when it is baked. 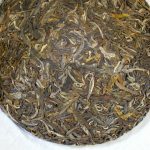 Besides, the distinctive flavour produced from the amino acid will also develop a flavour like seaweed when the tea is produced follows the modern agricultural practice which uses fertilizers. 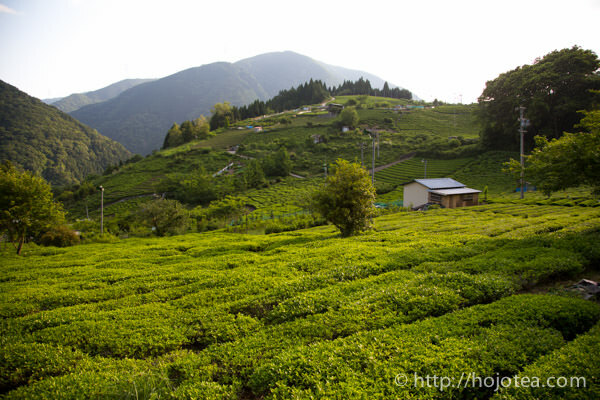 The majority of Japanese green tea available in Japan falls into the category mentioned above. Sometimes as you pay more, you will get the tea with stronger amino acid taste. 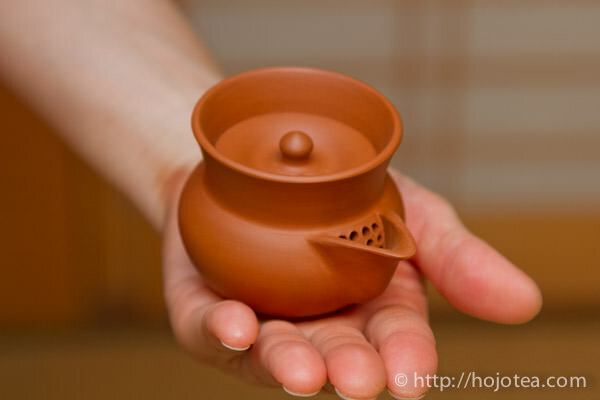 For this type of tea, generally people would prefer a teapot that increases the after taste and decreases the body. 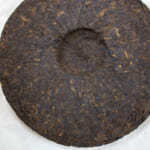 If the clay increases the body, the distinctive oxidized amino acid flavour and the seaweed flavour will be very strong. Actually, not everyone enjoys these flavours. Hence, if a clay decreases the body, it reduces these flavours and increases the aftertaste. 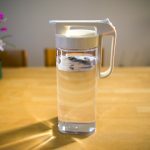 As a result, the flavour is more natural, similar to the flavour of fresh natural tea leaves; plus, it also increases the transparency and clarity of taste thanks to the enhancement of the aftertaste. If you brew a Gyokuro in the reduction clay, the seaweed flavour is cut down and its flavour turns out to be very elegant. I suggest the following clays that will reduce the body and increases the aftertaste. 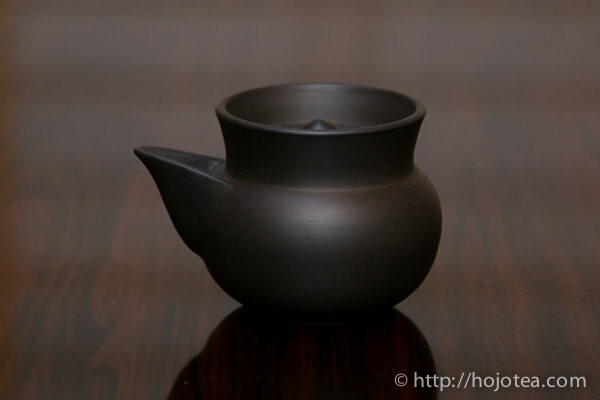 The Nosaka oxidation fired clay gives a stronger body as compared to the Nosaka reduction fired clay. If you wish to drastically reduce the seaweed flavour, I would suggest the Nosaka reduction clay. However, if you wish to maintain a slight seaweed flavour, the Nosaka oxidation clay will be preferable. For Natural/Bio-Dynamic farming tea or organic farming tea, the nitrogen fertilizer is seldom or occasionally used. As a result, the growing speed of the tea trees is very slow. At the same time, the colour of the tea leaves would be yellow as they do not have to grow fast and does not necessarily need to conduct photosynthesis to produce carbohydrates. These kind of teas contain higher minerals and polyphenol as compare to those that grow faster. Thus, it has a floral flavour that reminds us of Taiwan high mountain oolong. These teas do not give the distinctive oxidized amino acid and seaweed flavour. For this type of tea, I’d suggest a clay that increases both the intensity of body and flavour. If you successfully increase the body of tea, you will enjoy a very rich floral flavour on your palate. For increasing the body of tea, I would suggest the following clays. The above theory is merely my recommendation. After all, you may need to understand which tea characters you are seeking for the most. If you enjoy an increase of the seaweed flavour or the distinctive amino acid flavour, you may use a clay that increases the body, even for the common Japanese green teas. If you use a reduction Sado clay for the natural/Bio-Dynamic farmed tea, it will minimize the flavour but drastically increases the aftertaste; the tea may be a little weak in character, but it has a very transparent and clear drinking feeling. However, if you are not very sure about your preference, I would suggest a clay that gives an intermediate effect in body such as the Shigaraki or Nosaka oxidation clay.